If like many Main Line households you’re enchanted by the cascading effect of fabric Roman shades gently folding down your window, letting in just enough daylight, come to the area’s authorized Hunter Douglas dealer. This traditional Hunter Douglas Roman shade offers you a broad palette of more than 250 fabric choices! 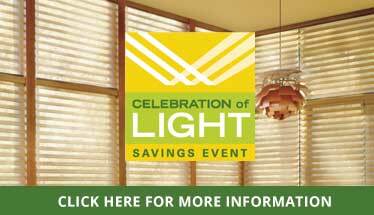 It comes in four Roman shade styles, Hobble, flat, batten-front, or batten-back. You have a choice of linings in two opacities depending on your room’s sunlight needs. A plethora of tape, trim, and valance options complete this selection. These Hunter Douglas shades ingeniously pair the Roman shade, which indeed harkens to the days of the caesars, with one of the company’s engineering inventions, the cellular shade. This uses air trapped in the “cell” between the shade’s panels as insulation, a welcome innovation for chilly Chester Country evenings. You can operate these Roman shades top down or bottom up! 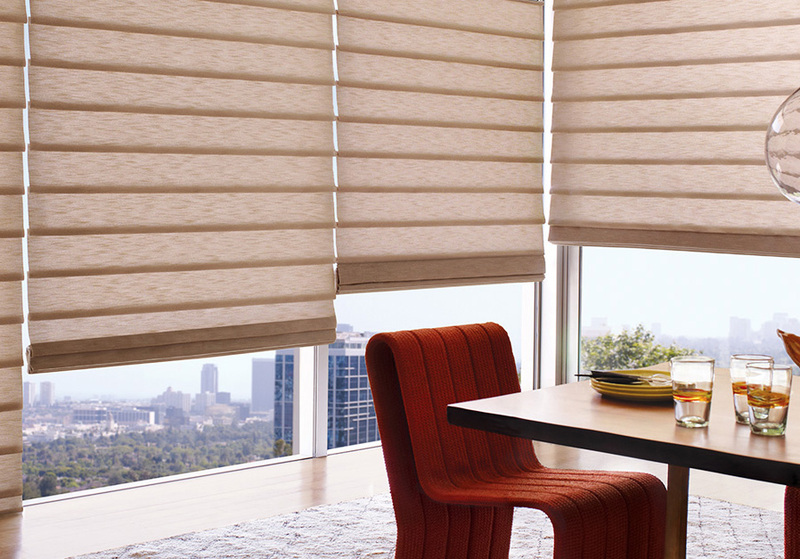 A couple of things right out the gate distinguish Vignette® Hunter Douglas Roman shades: the richness of the fabric options, the wide variety of fold sizes, with bigger folds for bolder decors, and a spectrum of opacity options from sheer to dark. This alternative to old-fashioned Roman shades boasts an unencumbered look perfect for minimalist, Zen-like simplicity. Better still, if you have children or pets, this design features no tangling rear cords. Vignette® Roman shades come in two styles, Rolling, folding up into the headrail, or Stacking. Fold options are 4-inch full or 6-inch flat. The Rolling style with 6-inch flat folds gives you the Duolite® option of a front panel admitting light, backed by a room-darkening panel, as well as the choice of PowerView® motorization. These Roman shades are a further refinement of Vignette® shades developed for designers and now available to the public, offering your rooms an even more dramatic effect. So when it’s time to make your windows a showpiece of your home decor by draping them in the smooth, fading waterfall effect of Hunter Douglas Roman shades, come to our Paoli, PA store, your window-treatment experts authorized by this brand. And remember, when it comes to service for your new Roman shades, from planning for installation to follow-up, we are the Delaware Valley’s leader in customer service too.